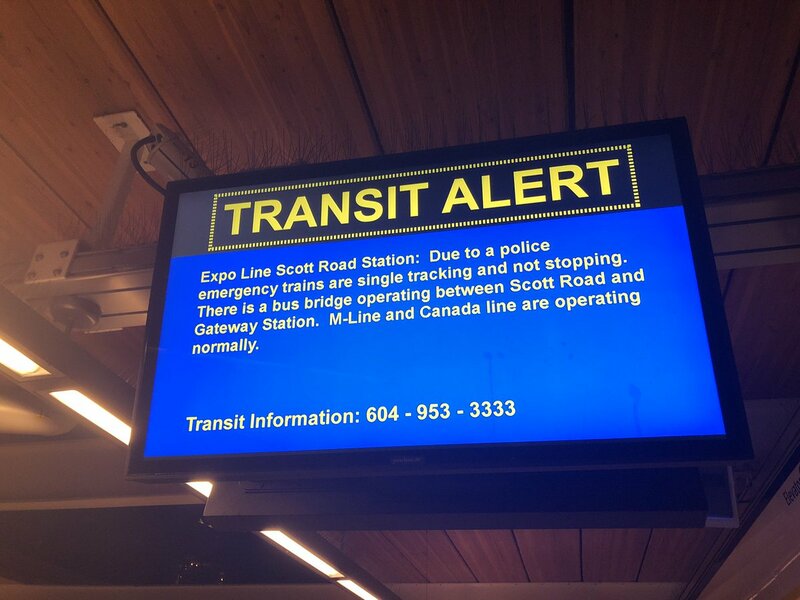 SURREY (NEWS 1130) — Transit Police confirms one of their on-duty male officers was shot at the Scott Road SkyTrain Station in Surrey, and was transported to the hospital. We can confirm that a @TransitPolice officer has been shot and transported to an area hospital. We are actively looking for a suspect who may be armed. Please continue to avoid the area around the Scott Road Skytrain.